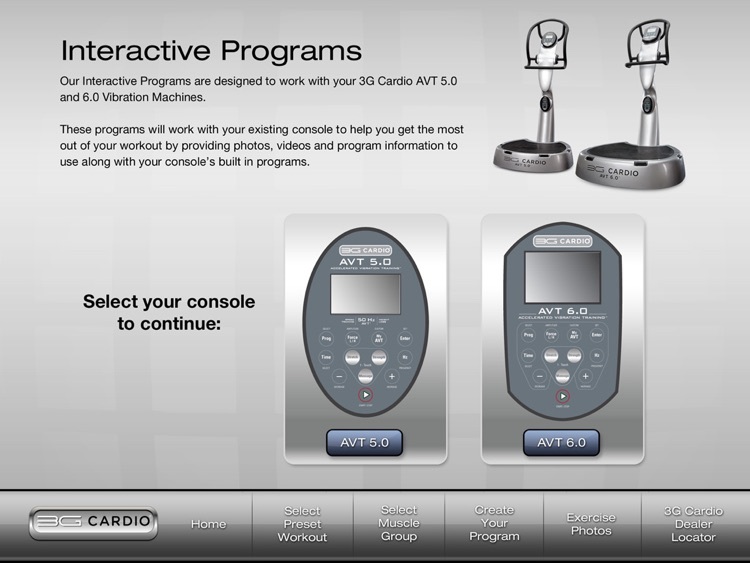 Our new Interactive AVT App will help you get the most out of your 3G Cardio AVT 5.0 or 6.0 Vibration Machine! 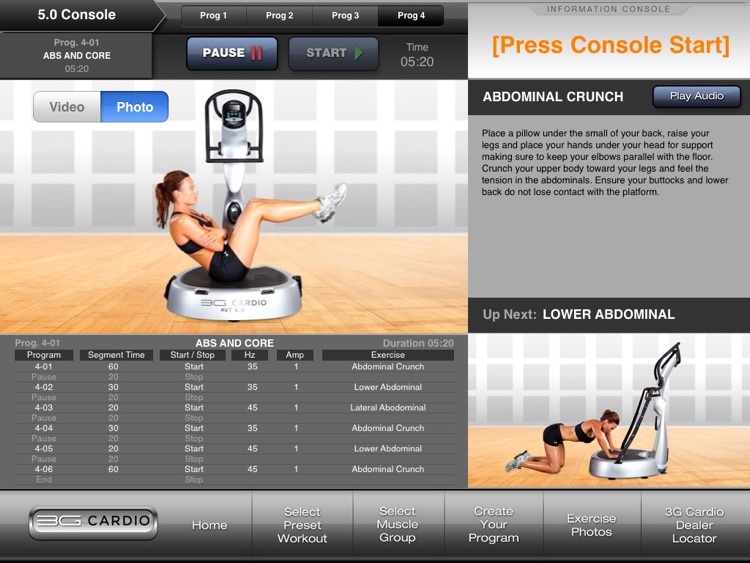 Select Preset Workouts, Muscle Groups, or Create Your Own Program to follow along with your vibration machine workout. 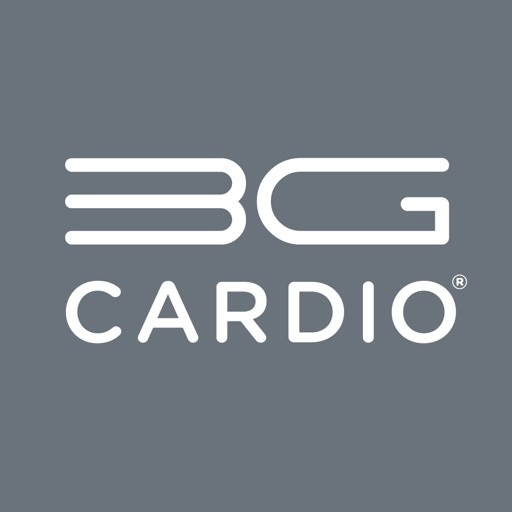 3G Cardio Accelerated Vibration Training AVT™ Exercises can help your exercise workouts with strength, stretching and massage. 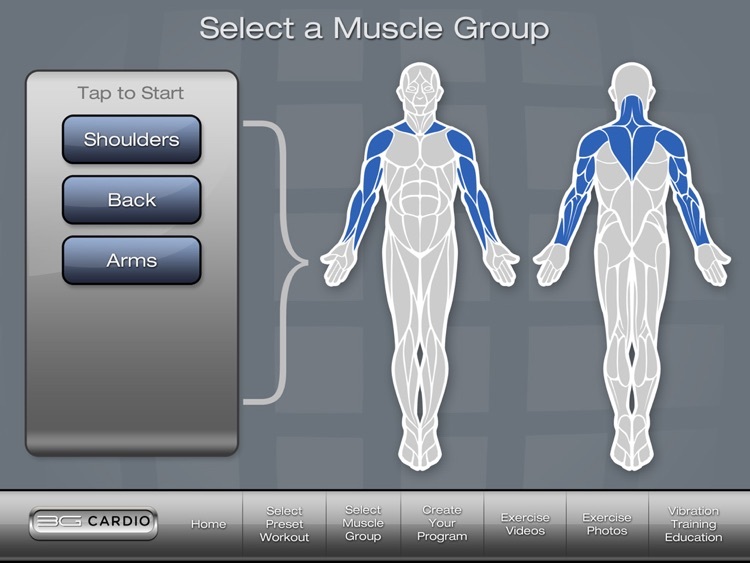 Our easy to use app will show you how to use your 3G Cardio AVT Vibration Machine and get the most from it. 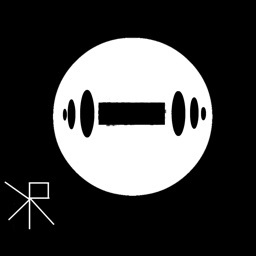 With vibration training, all three types of skeletal muscles are instantaneously called into service because of the near-immediate level of fatigue, no longer is there a ‘progression of muscle fatigue’ as in normal strength training. 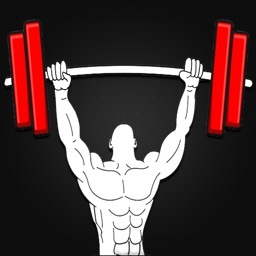 That’s something even most well-conditioned people don’t achieve in their workouts because they don’t have the time, know-how or ability to perform all the different types of exercises required to activate all the different types of muscle fibers. You can actually get great results from Accelerated Vibration Training in a little as 1 – 3 minutes a day! Due to the potential level of exertion required to perform certain exercises, it really does not take much to feel the effects. We would like to point out that there is no magic pill and in order to achieve the maximum benefits from a vibration machine, it is idea to perform a series of exercises and have workouts that last 10 minutes - 30 minutes per day. 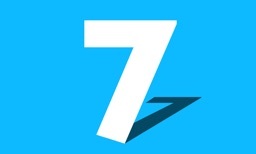 It’s always recommended to consult a physician before starting any new conditioning regimen. During your workout, if you experience dizziness, shortness of breath, pain, or discomfort, stop using the machine immediately and consult a physician. 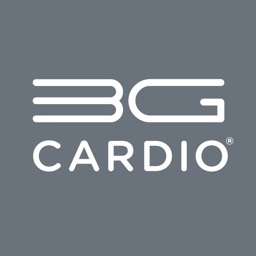 Please read your entire 3G Cardio AVT Vibration Machine manual for the complete list of contraindications.